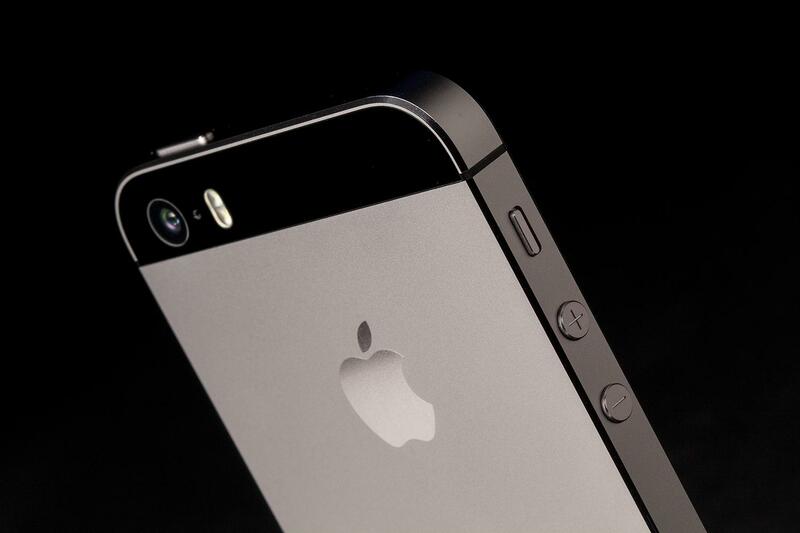 The iPhone 5S is an impressive phone on every level, filled with features that will only get better. 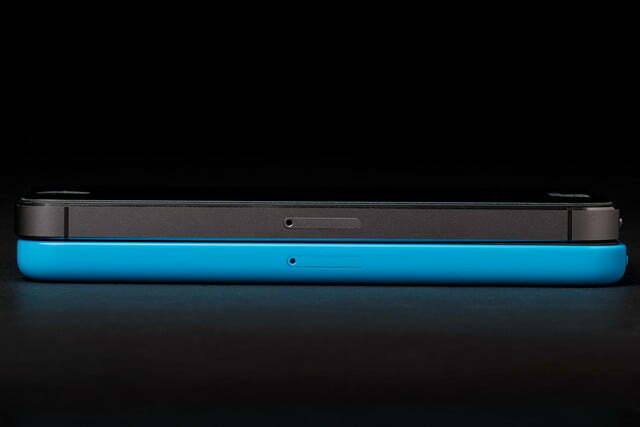 The iPhone 5S of 2013 is awesome, but the iPhone 5S of 2014 may blow you away. There’s never been more pressure on Apple to deliver the goods. The iPhone is still the world’s most popular smartphone, but competition from Android devices like the HTC One, Galaxy S4, Xperia Z, LG G2, and upcoming Google Nexus 5 is fierce. 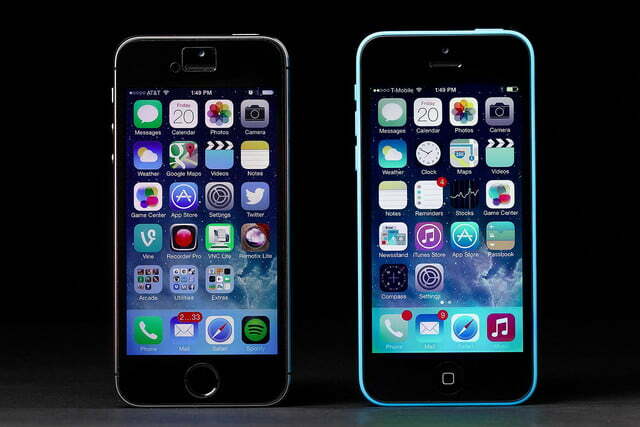 All these phones are bigger and boast many features even the brand new iPhone 5S doesn’t have. 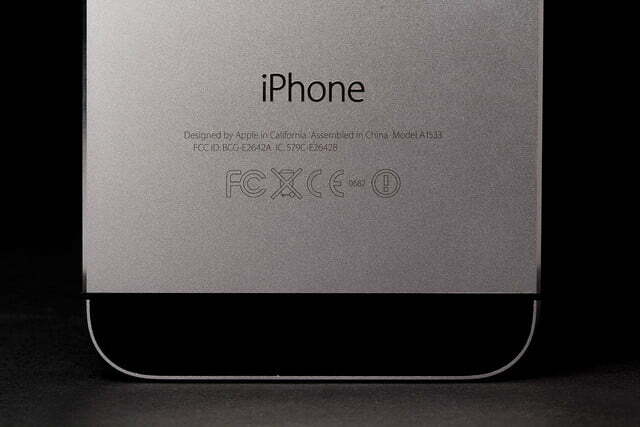 But though the 5S may look almost identical to the iPhone 5, under the hood it’s a completely new phone. 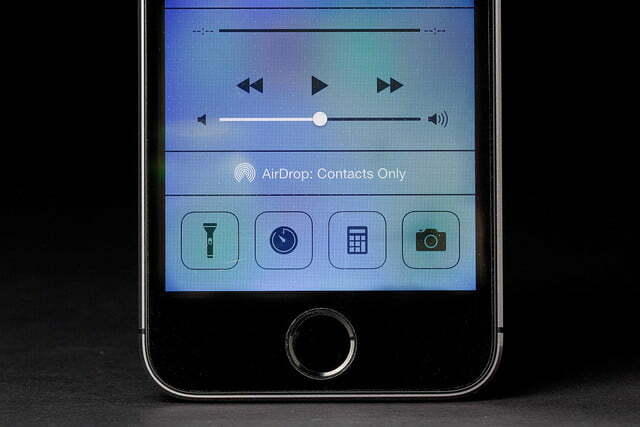 If you’ve held an iPhone 4, iPhone 4S, or iPhone 5, then you already know exactly how the iPhone 5S looks and feels. 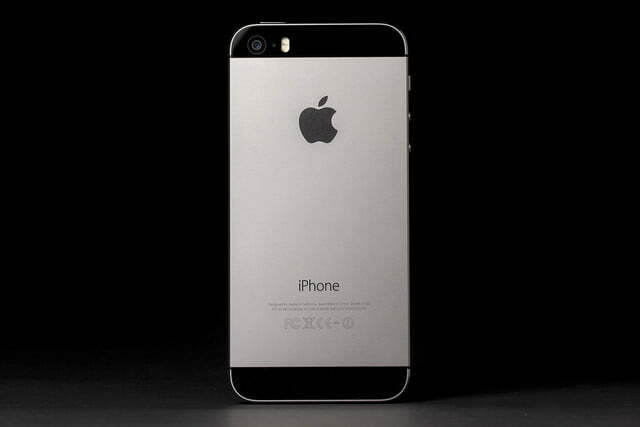 Aside from the slightly different shade of grey and new gold color, the iPhone 5S shares its shell with the iPhone 5. The screen is the same; everything is the same. 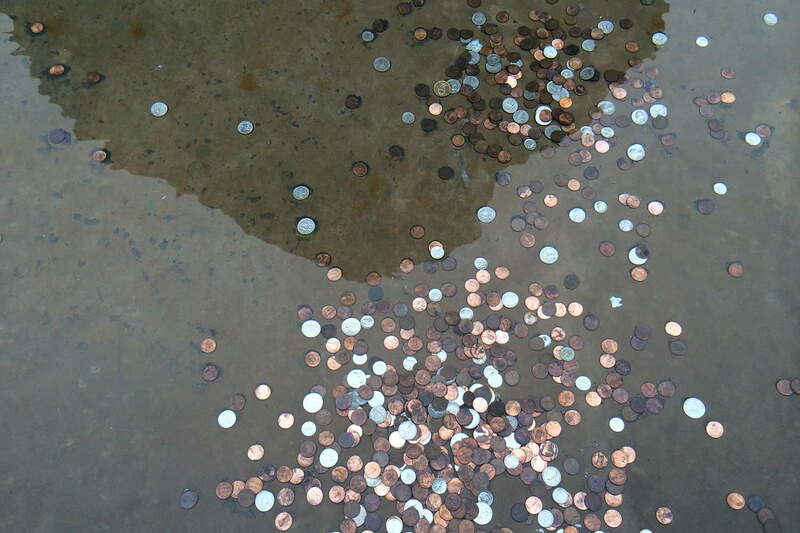 There are only two noticeable differences (assuming you don’t buy it in gold). 1. The Home button looks a little different and doesn’t have a square on it anymore. This is because it’s now a biometric fingerprint reader as well as a button. 2. 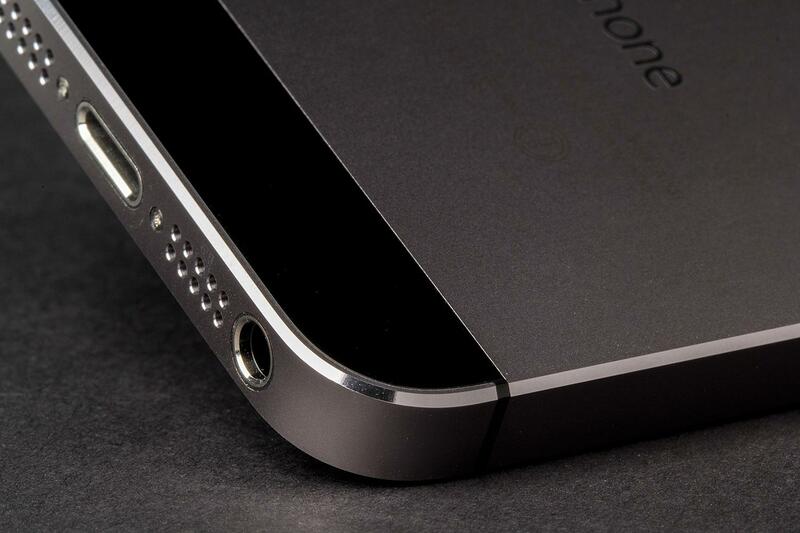 The rear camera has a different microphone hole and an extra LED flash to the right of it. That’s it, seriously. But it does come in gold. We can’t stress that enough. If you really want people to know you have a new iPhone, get it in gold. Small complaints aside, this is one of the most beautiful, well-designed, petite, comfortable phones on the market today. 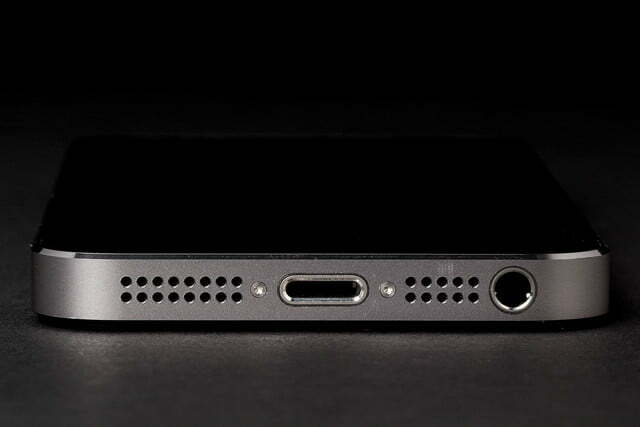 The iPhone 5’s beautiful design only comes with a couple small gripes. 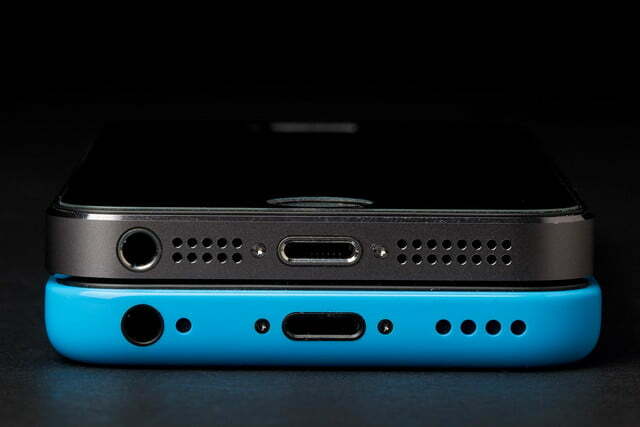 We really wish the 4-inch screen were slightly wider. It’s been six years since the original iPhone came out, but we still mistype things like crazy on Apple’s super skinny, small screen. And the power button is difficult to reach without changing how you hold the phone, or shimmying it up and down your palm. Anytime you have to change your grip, you risk dropping your phone. 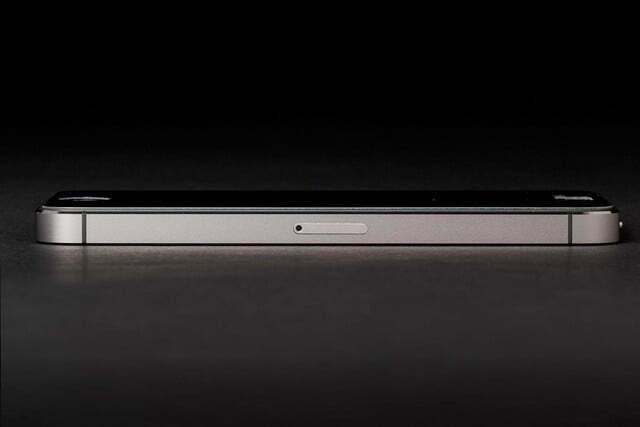 Now that the iPhone has a taller screen (a change made on the iPhone 5), it needs a power button re-alignment. 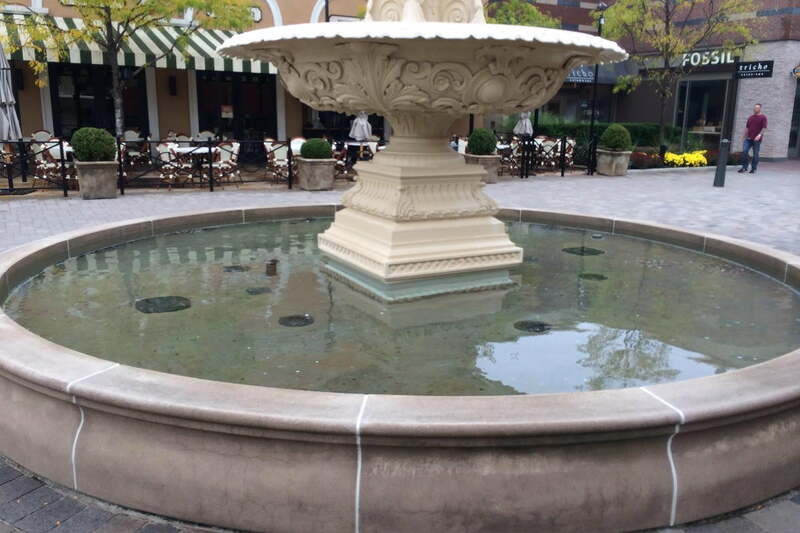 Hopefully the iPhone 6 will correct this small issue. 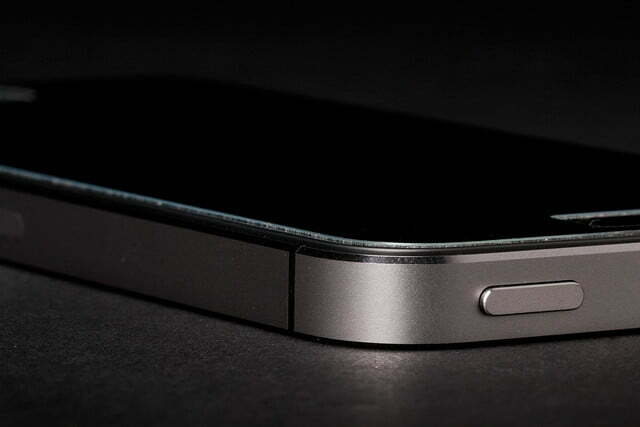 One of our favorite new features of the 5S is the biometric fingerprint reader. It was able to read both our thumbs with relative ease, and use those prints to authenticate App Store purchases and unlock the device. Apple prompts you to set up your Touch ID fingerprint when you activate your 5S initially. You don’t have to use it, but we recommend it. 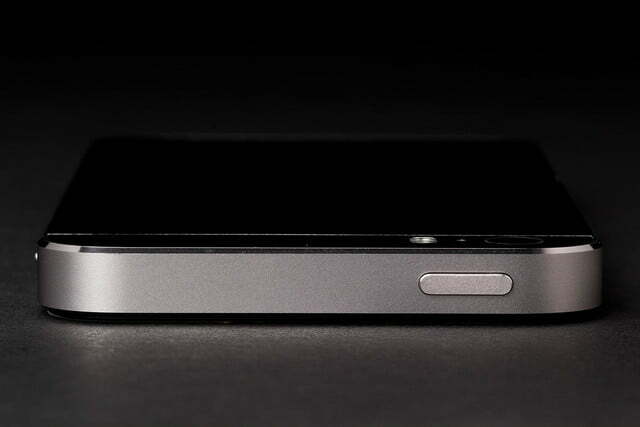 To start, the iPhone has you place your thumb on the Home button. You have to press your thumb against the sensor from different angles, and as you do so, a picture of a fingerprint slowly lights up, filling in. When you’re on the right track, the phone will vibrate and fill a new section of the fingerprint picture in, showing you that you’re almost done. You can scan both thumbs and any other fingers you want to be able to unlock your phone and purchase things on the App store. You also have to set up a four-digit passcode, which can be used in the event that the Touch ID sensor is failing you. Touch ID could completely eliminate the need for passwords on the iPhone and deter theft. To unlock your phone, or authenticate an App Store purchase, you simply hold your thumb over the sensor for a fraction of a second. It’s fast and appears to be accurate. We’ve only had one authentication failure so far, and it was our fault for not placing our thumb on the pad very well. The Home button is still a button, too, and you can swipe straight to the passcode screen if you don’t want to use fingerprint authentication. The Touch ID sensor is limited now, but give it a year and Apple may open it up for third-party apps. It could almost completely eliminate the need for passwords on the iPhone and deter theft. As with any big change to a popular platform, there are many people who will hate iOS 7 just because … well, they’ll think of a reason. We think it’s bright, colorful, and refreshing. The glossy, shiny, texture-filled look of the old iOS is gone, replaced by a new version of the operating system that works the same, but looks more modern. It has a lot of white backgrounds and a flatter design, overall. It’s not perfect, but it’s just fine, and will likely look better and better as time goes on and updates come out. Most of Apple’s core apps have also been updated, with simpler menus and clearer buttons. 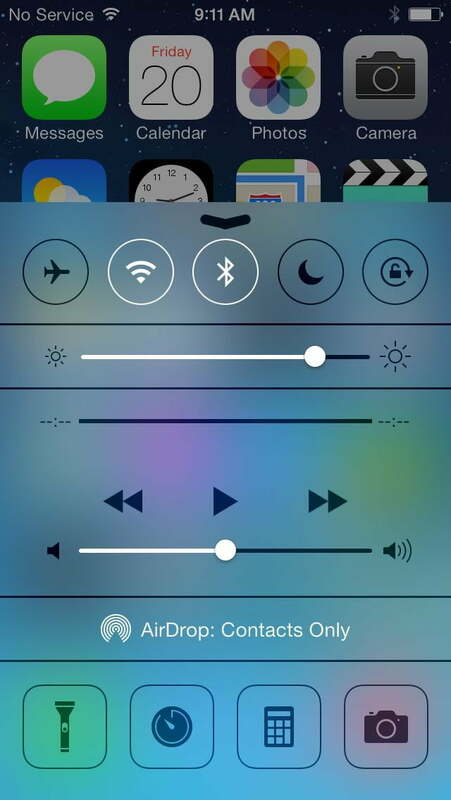 Control Center: Pull up from the bottom of the screen and you can toggle essential services like Wi-Fi, Bluetooth, Flashlight, screen brightness, volume, etc. Multitasking: Double tap the Home button to see a revised, more useful multitasking menu. Enter old apps or swipe up to eliminate apps you want to close. Camera app: It has several great new features. We’ll get into these in the Camera section. Photo Gallery: The new photo gallery is light years better than its predecessor. It lets you view photos by where they were taken and when they were taken, organizing them in several views. You can hold your thumb on big lists of pictures to quickly find the exact one you want and view it. App Store automatic updates: Updating apps on the iPhone was cumbersome and annoying. Now your apps will update themselves. iTunes Radio: iTunes now has a feature that’s more like Pandora. You can create custom stations and stream as much music as you want. It’s not a Spotify killer, but those immersed in iTunes will like the new option. Free office apps: All new iPhone buyers can download Pages, Numbers, Keynote, iMovie, and iPhoto for free. Previously, these apps were $10 a piece. 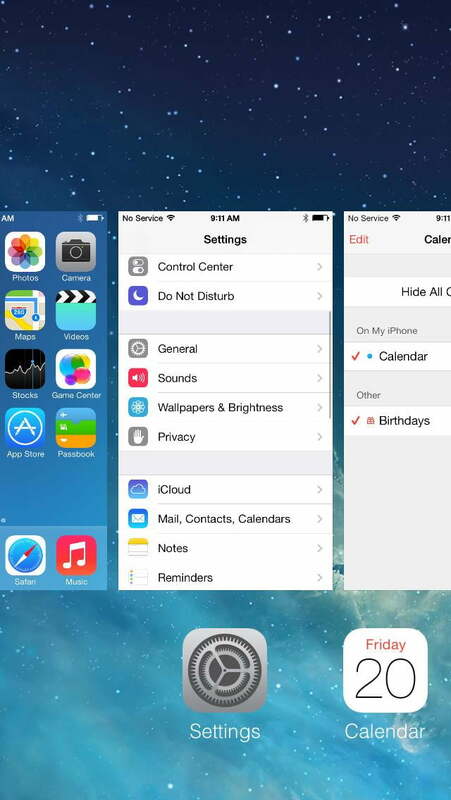 For a complete rundown of what features we love and which features we hate, read our iOS 7 Review. 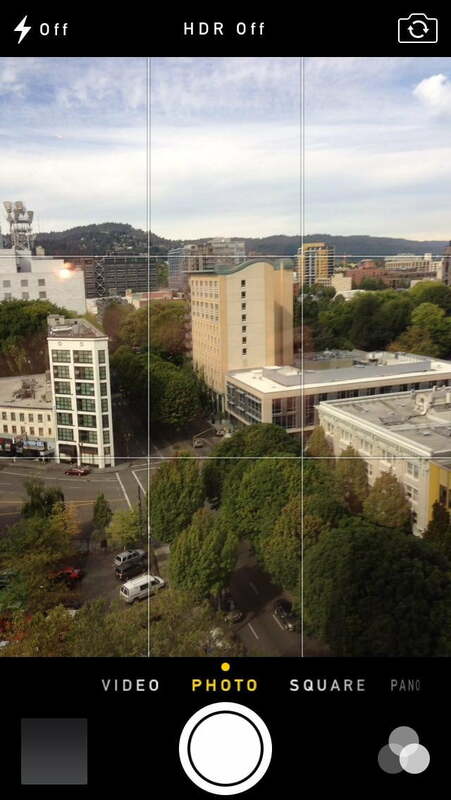 Apple boasted a lot about its new iSight camera, but in our initial tests, it doesn’t outperform the iPhone 5 by much (which is, admittedly, one of the best smartphone cameras out there). Both phones do share an 8-megapixel design, though Apple says the pixels on its newest iPhone sensor are bigger and therefore capture more light. 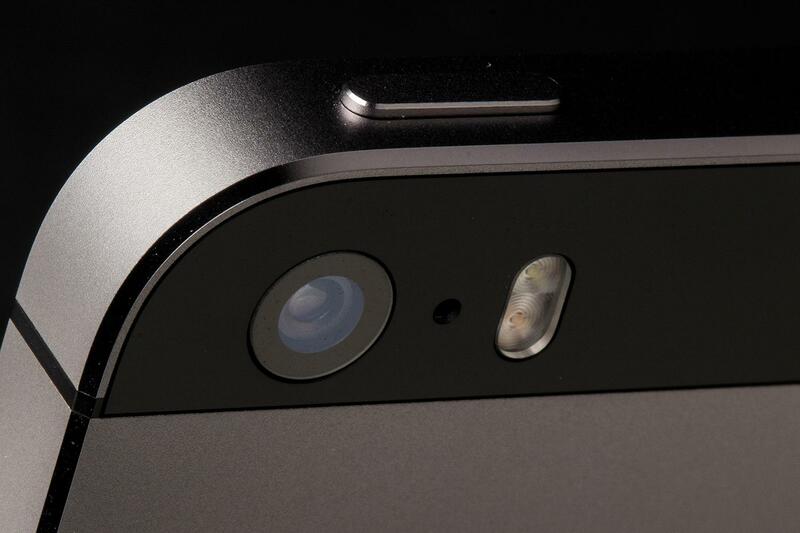 The front camera shoots 1.2 megapixels, which is the minimum you’d expect for a webcam. Thanks to the extra-yellow LED flash, shots using the flash look a little warmer, but they still look like pictures taken with a flash. Other than that, we could only pick out differences between the iPhone 5 and 5S when we zoomed into photos to look at small details. 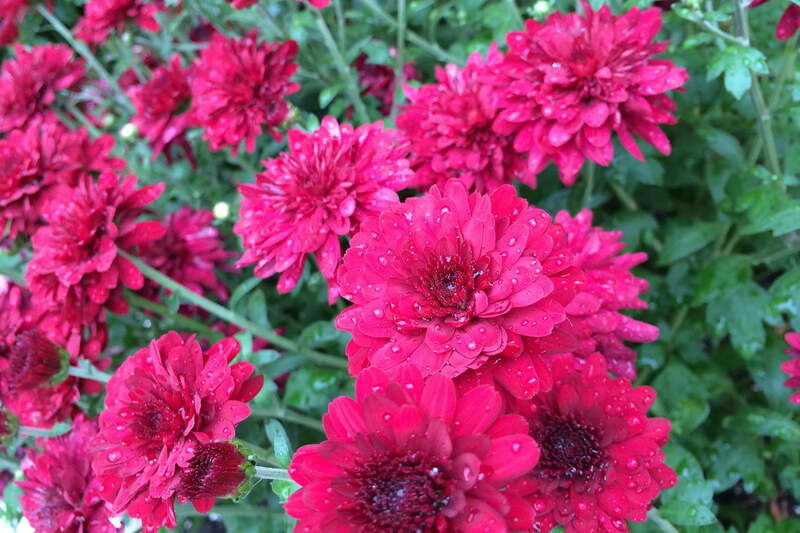 In macro shots, the iPhone 5S showed more detail than the 5, sometimes. They both focus at about the same speed. One trick the iPhone 5S can do is Burst Mode. Hold the shutter button and it will start taking pictures at lightning-fast speed. We don’t know the precise limit because we stopped at 350, but you can take a lot. Once you’re done bursting, you can go through all the pictures, choose your favorites, and save those to your camera roll. 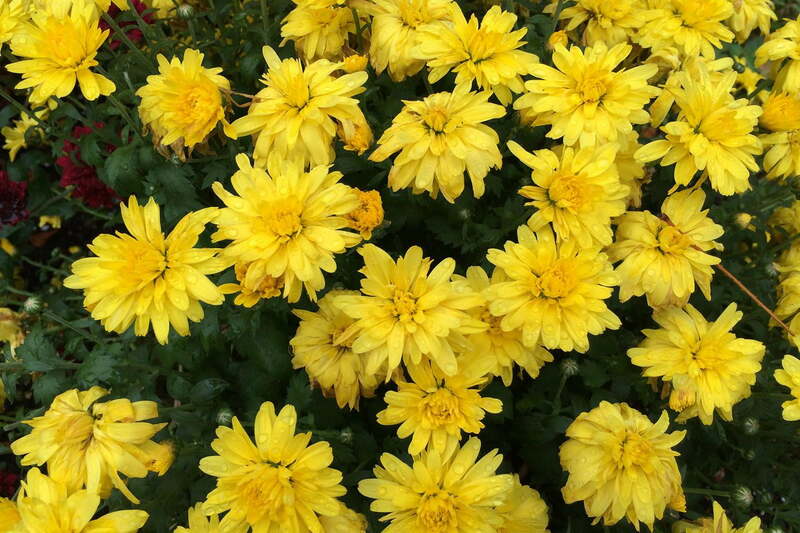 The 5S can also record video in high frame rate, enabling you to do slo-mo. This works well, and puts the iPhone on par with some other Android phones that have touted the feature. You can snap pictures while you record video as well, which is a little more useful. Comparing the specs of an iPhone to its Android counterparts isn’t quite fair; although Apple’s devices often appear to run on weaker hardware, they often outperform other operating systems because of how well Apple tailors its software to its phones. Regardless of specs, we can say that the iPhone 5S offers as premium an experience as any high-end Android or Windows Phone, and may outperform many of them thanks to its innovative 64-bit processor – the first such chip to ever grace a phone. The iPhone 5S is premium as any high-end Android or Windows Phone, and may outperform many of them thanks to its innovative 64-bit processor. The iPhone 5S has a 4-inch LCD screen with an 1136 x 640 pixel resolution, a 64-bit Apple A7 processor, 1.5GB of RAM (we think), an 8-megapixel rear camera, a 1.2-megapixel front camera, and a new Apple M7 motion processor, which won’t do much for you now, but lets the iPhone continuously track the motion and speed of the 5S without draining battery. This will be a serious boon for fitness apps, and should lead to a ton of very cool new uses. Our only complaint about the 5S (so far) is that, yet again, Apple has not upgraded the internal storage of its phones. Though many competing phones like the LG G2 and HTC One offer 32GB of storage standard, the 5S is still stuck at 16GB, which doesn’t last long when you start installing apps and taking pictures. Even the Galaxy S4 has options. Though it only comes with 16GB, it has a MicroSD slot. We recommend you get a 5S with at least 32GB of storage if you don’t want to run into problems later. We still need to download and try out some more intense games and apps. 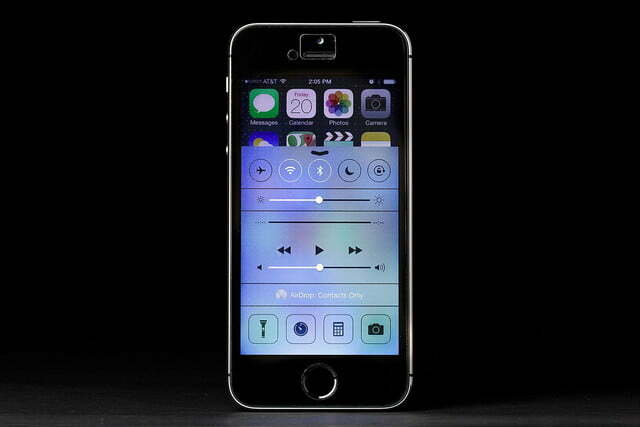 But right now, the experience of using the iPhone 5S is similar to the iPhone 5, though ever-so-slightly faster. Side-by-side, apps open a fraction of a second faster on the 5S. But again, it’s hardly noticeable. 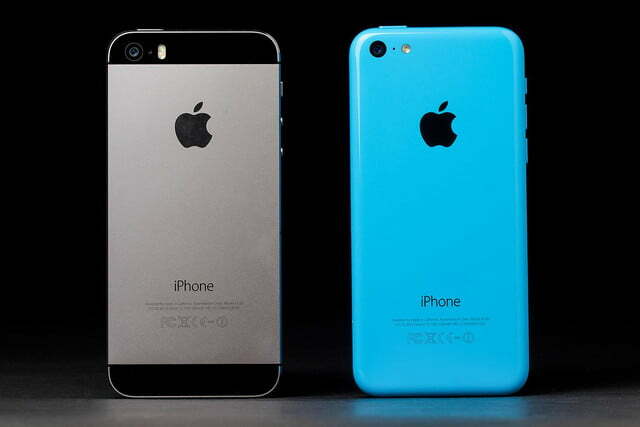 This is more a compliment to the iPhone 5 and 5C than an insult to the 5S, whose power will show itself in time. This iPhone has no real innovations in any of these areas, though we’re impressed by its support for 13 different bands of LTE. This means your iPhone can work on most every LTE carrier in the world. Apple claims that no other phone has as many bands. 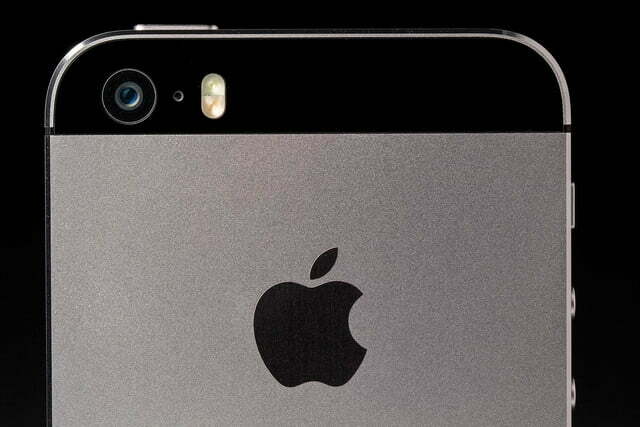 Apple also claims that the iPhone 5S will get the same 8 to 10 hours of battery life as its predecessor. Based on our use of iOS 7, we think this is likely accurate. The iPhone 5S is the most innovative iPhone we’ve seen since the invention of the App Store. It’s packed full of exciting hardware features like a fingerprint sensor, M7 motion processor, and 64-bit A7 central processor. 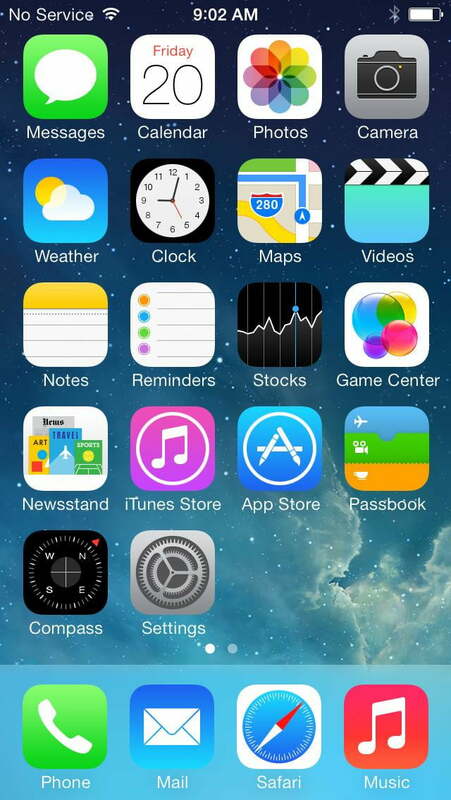 On top of that, Apple has completely revamped its operating system with iOS 7, adding a ton of necessary features. We have some small gripes on almost every front, but anyone who thinks Apple is on a slide downhill should think again. With its Galaxy phones, Samsung always loads on a ton of new apps and features, but we end up using almost none of them. The new features of the 5S show exactly why Apple still owns the most popular phone out there. There aren’t 50 new features buried in the settings. There are only a few new features, but almost everyone will find them useful. Apple’s hardware upgrades show considerable forethought. The iPhone 5S of 2013 is awesome, but the iPhone 5S of 2014 may blow away the competition thanks to new uses that haven’t even been imagined yet. We can’t wait to see how developers exploit some of the new features. It was rolling along on cruise control for a while, but Apple is back in the fast lane.